In California we don’t get a very long winter at all. 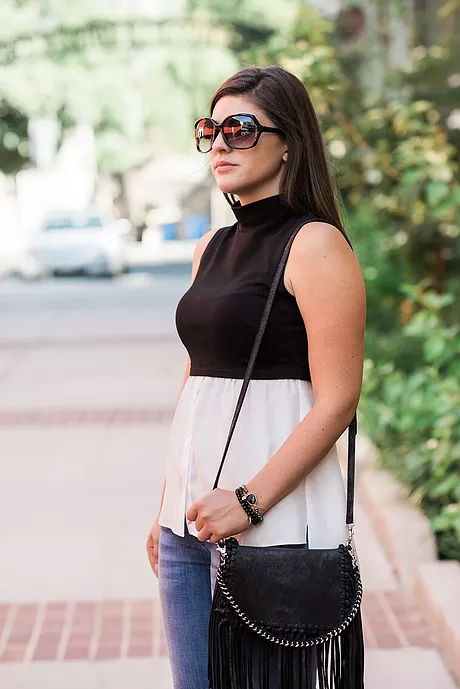 Our winter doesn’t really get started until the middle of November, so I thought I’d look like I’m trying to participate in “Fall Looks”, all the while staying cool enough to survive 80 degree days! I went with this turtleneck tank top which reminds me of Clueless and actually felt very comfortable in it. I didn’t want to wear too much black, because again, it still feels like summer here so I don’t want to attract the sun too much. These Rag and Bone jeans are super great quality and have a bit of stretch to move around in (always a plus!). 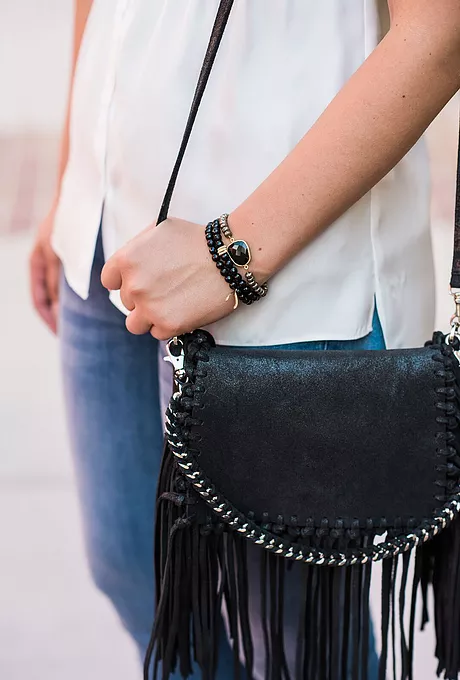 The accessories: I thought I would go with a fringe look and this cross body looked super fun, I also went with Maritrae beaded bracelets. They are super cute!